The one thing everyone loves in Africa that brings joy and unity is football! (Aka soccer). 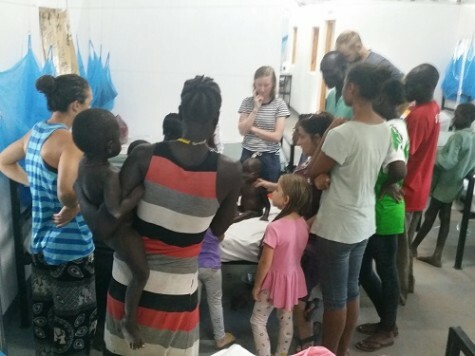 Last year we hosted a tournament for the clinic opening and it was such a big hit that Sabet, and his team from CC Tonj church, thought it would be good to try this as an annual outreach event. Thanks to a generous sponsor every player was kitted out in a new jersey kit. 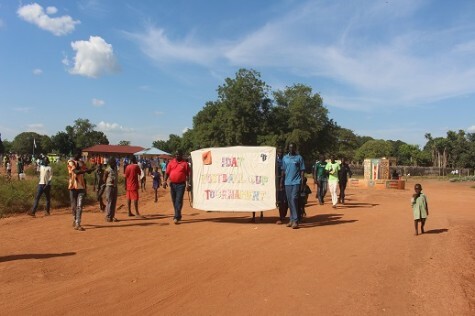 The different colored teams paraded from the IDAT compound to freedom square in the middle of Tonj town. An estimated 3,000 spectators showed up for the kick-off. 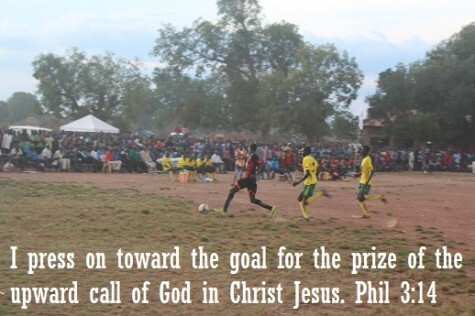 This was an outreach event for IDAT who shared the gospel with team players and onlookers. 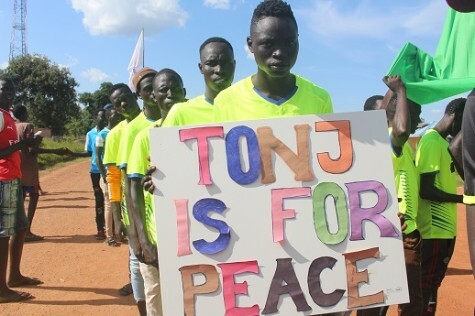 The young players from each team carried plaques with positive messages to promote peace, unity, and love among the youth of Tonj. This young generation has only had hate, revenge and retaliation modeled as a way to solve conflict. 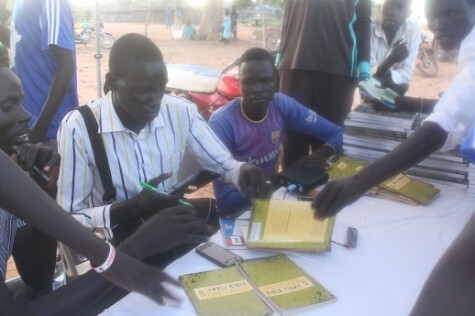 A team of guys from Calvary Chapel Tonj mingled among the crowds with Gospel tracts and bibles and shared the gospel message one to one. 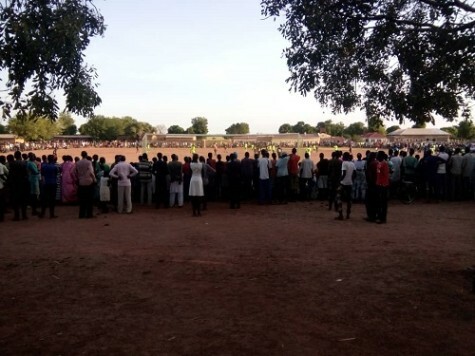 This tournament is going for one month and as the word got around, at the second game we saw around 8,000 people attend! God has totally blessed the response which we hugely underestimated. We’re so excited to add a sports dimension to our ministry. We are still in need of about $2,000 to cover the costs of hosting this large event. If you feel led to help us with this extra cost, please go to our website or email us. Three months ago, a little girl called Adut arrived at our hospital on the brink of death from Tuberculosis, which had spread to infect many of the organs in her body. Two weeks ago, Adut was back on the oxygen machine gasping for air, and her parents asked to take her home to die peacefully as she seemed to be deteriorating despite our best efforts. That night we gathered in the ward as a team and cried out to God for a miracle – and He answered! From that day on Adut started to improve, and we finally got to celebrate as a team and discharge her to go home! 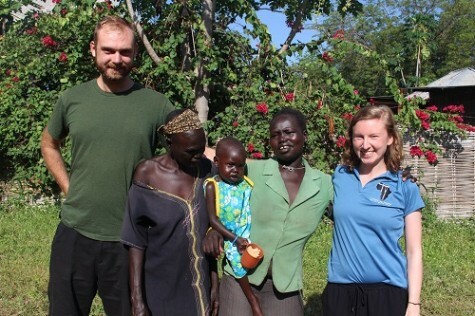 Our volunteers Isaac and Rebekah did an amazing job providing top notch nursing care for her these past 3 months. Sadly, we also say goodbye to them this month, as they head back to New Zealand. Pray for our upcoming furlough we still need accommodation and vehicles to use in CA and FL. What timeframe do you plan to be in th states?